We’d love your help. 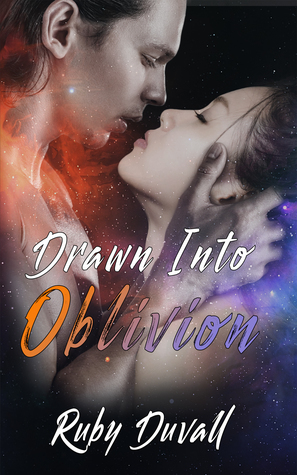 Let us know what’s wrong with this preview of Drawn Into Oblivion by Ruby Duvall. Mai has found purpose serving as a house elder in the newly reformed imperial court, and she's determined to help the empress fulfill her destiny to lead an army into the plane of Oblivion and kill the Damned One. But an old trauma prevents Mai from realizing her full potential, and she's not sure she can open up her heart to the man who's eager to help her see that she's Mai has found purpose serving as a house elder in the newly reformed imperial court, and she's determined to help the empress fulfill her destiny to lead an army into the plane of Oblivion and kill the Damned One. But an old trauma prevents Mai from realizing her full potential, and she's not sure she can open up her heart to the man who's eager to help her see that she's already a true leader—one far more passionate than she believes. Rosuke, newly freed from a centuries-long curse, wants nothing more than to seize the kind of honorable life he'd previously discarded—one defined by sacrifice and love—even though he may not deserve it. And he's more than willing to do everything he can to earn a place in Mai's heart. However, their difficult pasts aren't the only obstacles to a future together—not when they're committed to fighting alongside the empress, even if it means their lives. To ask other readers questions about Drawn Into Oblivion, please sign up.